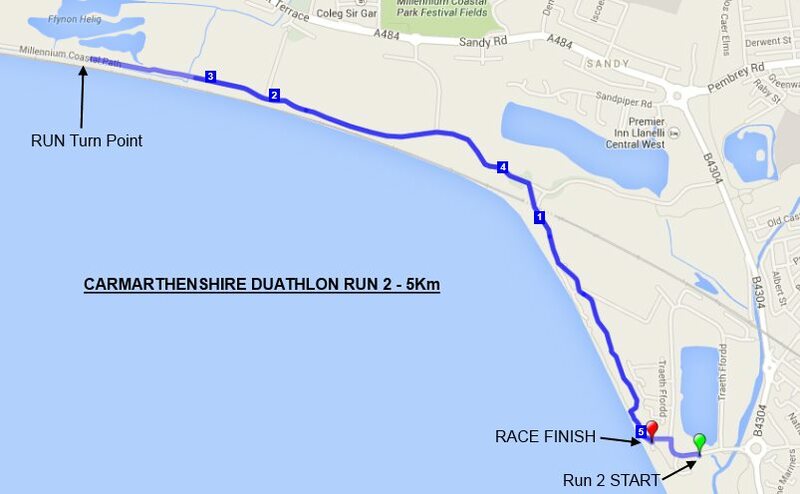 The Race will start outside the Discovery Centre at the North Dock. 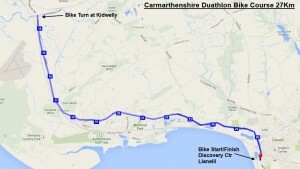 You will run along the Millennium Coastal Path which takes you down towards the Pwll fishing lakes. It is a straight out and back course, we will have cups of water as you finish the 1st run. As you come back towards the Discovery Ctr you will be directed towards Transition, please stay on the pavement and we will have marshals on the car park crossing point. You course map is below or you can view the map online HERE. 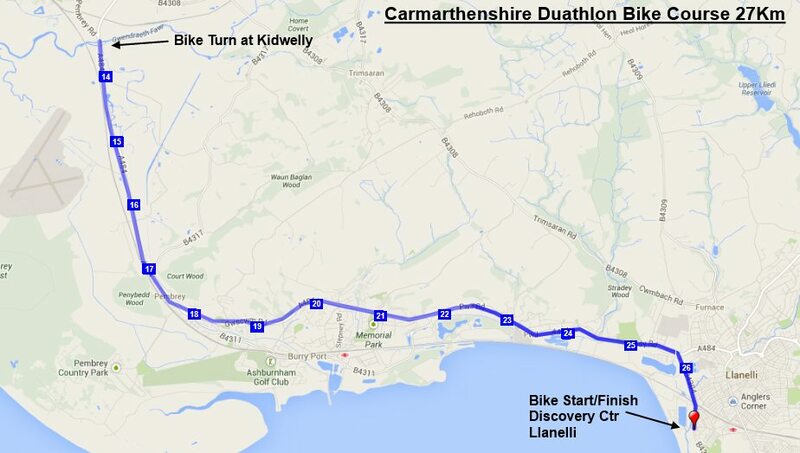 After returning from the 27km bike leg you will exit transition as instructed by marshals and join back up with the Millennium Coastal Path. 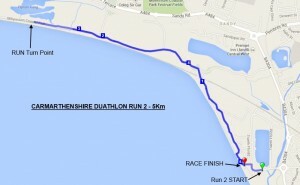 This will be the same course as the 1st run. However when you come back towards the Discovery Centre you make your way towards the Finish Line. This is a fast run course.